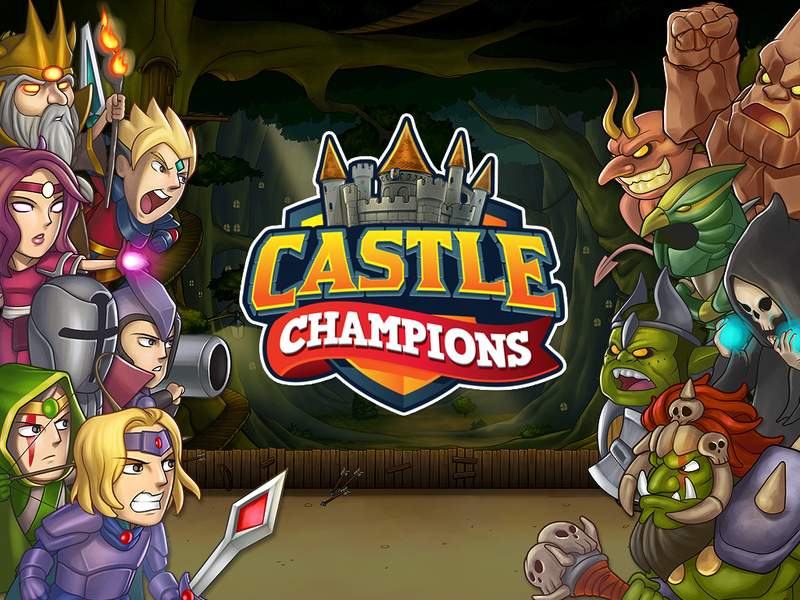 The quest to become the next Castle Champion has begun! Take down warring legions of Cerberus, Minotaurs, and other monsters in the Amateur and Pro Leagues with an army of Mages, Crusaders, and Paladins as well as other warriors from nine job classes. Players can also recruit one of six Heroes to serve as team captain! 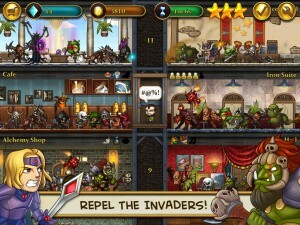 To help the army and general public thrive, players must build a castle to earn valuable gold and crystals via employing civilians in the castle’s businesses. No fortress is safe from the invading horde, however – the army must stand by at all times to protect civilians from monsters penetrating the castle walls! An addicting mix of tower building and strategic RPG hybrid gameplay. Create an awesome army from 9 different classes including Mage, Crusader, Paladin, Archer, and Swordsman. Recruit one of 6 unique Heroes as team captain, each with their own special abilities. Advance through the Amateur and Pro Leagues by raising your team’s league rank in battles. Build over 40 different rooms including restaurants, banks, and casino halls, with more to come in future updates. Defend your castle from the horde of invaders. Send warriors on an endless number of quests to gain more gold and resources. Use power-up orbs to boost the team’s stats and abilities. Convert castle guests into citizens by employing them or convert them into warriors by assigning a class. Enjoy a universal app fit for all iOS devices. Gamenauts is a leading game publisher and developer of mobile, PC and social games, founded in the San Francisco Bay Area with a mission to explore the frontiers of interactive fun. They struck gold with hit games like Ninja Fishing on mobile and the Cate West and Burger Rush series in the PC casual gaming space. Gamenauts invites players to join them on their voyage through the galaxies of games on multiple platforms. Artlogic Games is an independent, Indonesia-based team of passionate developers committed to creating high quality games in the strategy genre. Established in 2007, Artlogic has grown to become one of the top indie Flash developers with an audience of over 10 million players with their flagship Epic War hit series. Now, Artlogic is focused on bringing their talents to the MMO and mobile markets.